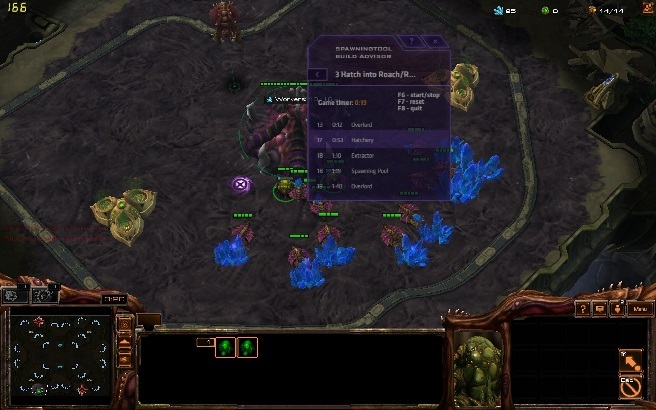 Through Overwolf, the Spawning Tool Build Advisor allows you to follow a build order live with an in-game overlay during your game. Browse through the builds listed on our site, then select your winning strategy to use during any ladder or custom game. As soon as the game starts, the overlay will sync with the in-game timer and walk through each step of the build so you don’t miss a thing. And that’s it. To get started, download and setup Overwolf, then install the Spawning Tool Build Advisor app. It will automatically launch when you start StarCraft.